Officials have released the names of two women who died in Sunday's Westminster apartment fire. 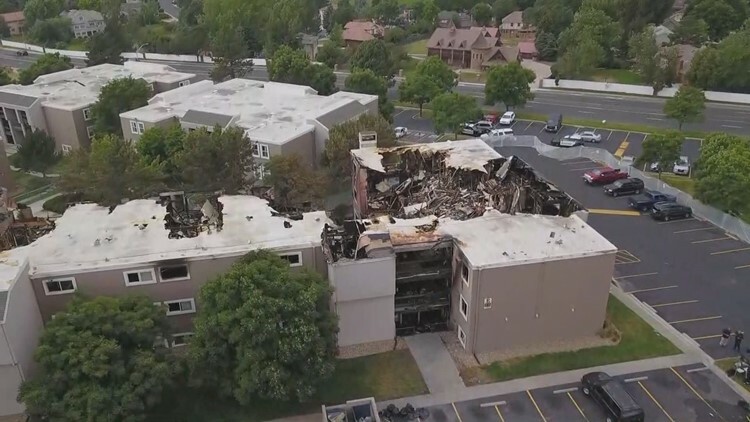 WESTMINSTER, Colo. - Officials have released the names of two women who died in a suburban Denver apartment fire. The coroner for Adams and Broomfield counties say the victims of Sunday's fire were 41-year-old Leah Hamel of Venice, Florida and 58-year-old Margaret Kelly of Westminster. Both died of injuries related to the fire, which was reported at 2 a.m.
Fourteen others were injured and three remained hospitalized in critical condition on Wednesday. Two others were hospitalized in unknown condition while nine had been treated and released. The cause of the fire is still under investigation. The Westminster Fire Department has said there were no sprinklers in the 69-unit building because they were not required in 1974 when the building was built. Residents reported jumping from second- and third-story windows to escape the flames.